Build the next generation of great business apps. It’s no secret that we’re in the middle of an app revolution that’s rapidly transforming the way we do business. In fact, Gartner estimates that the demand for apps outstrips IT’s capacity to build by a factor of 5:1. This means businesses must find new ways to build apps faster, or look for trusted prebuilt apps to buy. 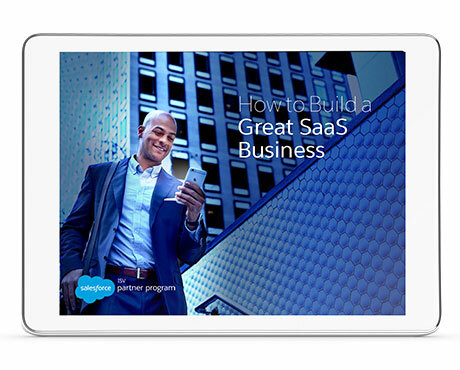 Learn how partnering with Salesforce gives you an unparalleled advantage in the marketplace to build, market, sell, and grow faster. Understand successful approaches taken by leading ISV companies such as Sage, Fairsail, SpringCM, and CloudCraze.